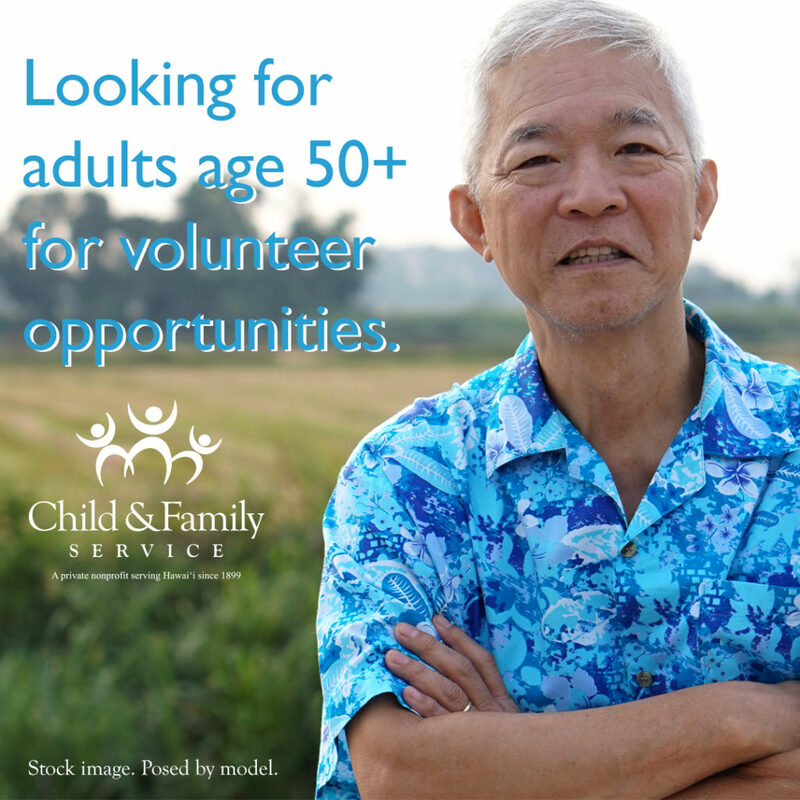 We are looking for adults over the age of 50 for volunteer opportunities at CFS! Sponsored by Encore.org and the Gen2Gen campaign. Conducting workshops on topics such as cooking, financial literacy, and Hawaiian cultural traditions. Tutoring and reading to children. Enjoy sharing knowledge and experience with young people and their families. Enjoy using creative and communication skills in a vibrant setting. Basic office skills.